Which Cricut Machine is Perfect for Your Creative Needs? Probably 4 years ago I begged for a Cricut Machine. All of my friends were raving about this Cricut machine thing, and I just had to get one. My wonderful in-laws bought me a Cricut Mini for Christmas one year. Though it wasn't the Explore, it definitely helped me learn what this machine was all about and I instantly fell in love. I'm glad I started with a machine as small and simple as the mini. At the time it was so easy to use and learning how to use it helped me start off and get to the creating that I wanted to do. I learned how to create scrap-booking items, vinyl decals, and so much more. Fast forward a year or two and my awesome mother in law paid for the explore one for me and I paid her back for it. Again, I fell in love with the machine even more. Now I purchased an Explore Air and I love it as well. At this point, I don't see the point of getting the AIr 2 or the Maker…. because I don't use my Air to it's fullest capabilities already. I mostly do vinyl work. Once in a while, I will do scrapbooking or paper crafts, rarely, but I do. I have everything to do pretty much anything I want to on my machines. Cricut Explore & Maker machines cut so many materials that the only limit is your imagination. From something as delicate as notebook paper to thick leather, these amazing machines can do it all. Whether you’re new to crafting or an experienced maker, Cricut smart cutting machines and apps give you the freedom to make DIY magic happen anywhere, any day. Soon you’ll be designing and cutting projects that wow even the pros. You can start from scratch or get a head start. Design Space lets you edit and personalize your project with ease. Access the library to find images and fonts, or upload your own artwork. Then arrange and rearrange until you’ve got something you love. So what's the difference between the machines I mentioned above? Honestly? Not a whole lot. The mini isn't produced anymore. So don't worry about that one. It's obsolete. Below is a table that shows what features you get with each machine. So make sure you select a Cricut Machine that will suit your creative needs. *Fast Mode ONLY works with Vinyl, iron-on, and cardstock. When you get your Cricut Machine, whichever you decide to purchase. Make sure you also get the Cricut Access membership. It has saved me a few times when I needed a project done in a pinch. I personally purchase the Premium Membership because it does have the best value and I get awesome benefits. Purchase a Cricut Machine that will benefit what you want to do. 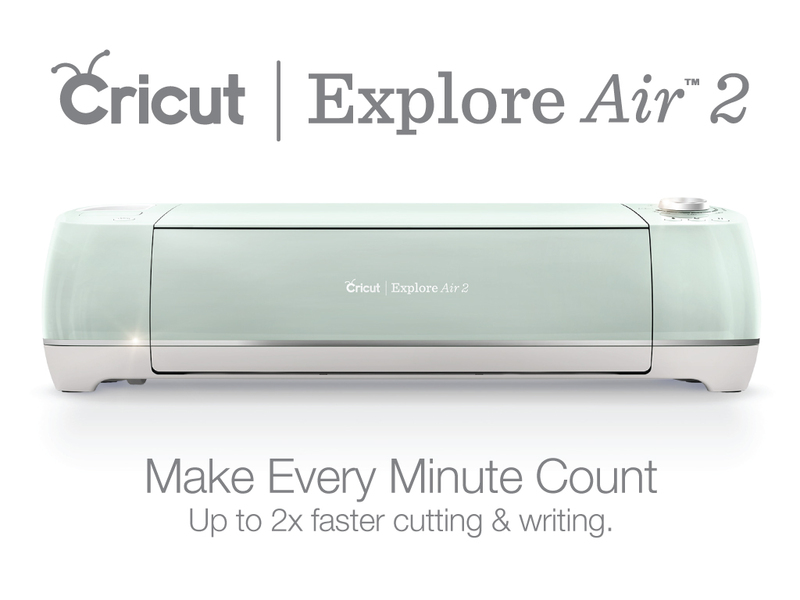 If you don't need to cut tons of fabric, wood, etc., the Cricut Explore Air would be perfect for you. If you plan on using it for fabric, wood, etc, opt for the Cricut Maker.